Talk to a room full of fundraising professionals and you’re sure to talk about data at some point in the conversation. How to manage data. The best ways to input data. What your database looks like right now. And so on. Data management is important because it helps shape your next steps. 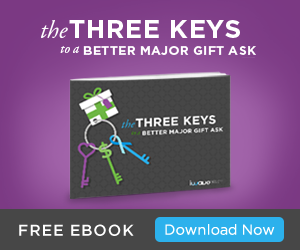 And your next steps as a nonprofit pro, are usually about making that next major gift ask. A few weeks ago we invited Amanda Jarman (The Fundraising Nerd) to join us for a webinar, diving into the importance of clean data. In the webinar, she outlined the reasons why improving your data hygiene is directly related to the quality of your screening results. If you missed it, you can check out the recording here! Cleaning up your data will not only yield better screening results, but it’ll also help with overall donor relations and reporting. So get ready, we’ve got some sure-fire best practices coming your way! Why Clean Before You Screen? You’ll get better results. Period. Was that too simple? Maybe… but seriously! Focusing on clean data helps you to be more conscious and respectful of your constituents in general. Your data will be more accurate, you’ll have less returned mail, and both donor management and screening will take less time. Better data will give you a better return on your investment for your CRM, your DMS, and your fundraising intelligence tool because the value will be more obvious and easier to action. When we surveyed the webinar attendees a few weeks ago, most people had either never done a screening before, or were preparing to do another. No matter what situation you’re in, it’s always a good time to clean up and be prepared. 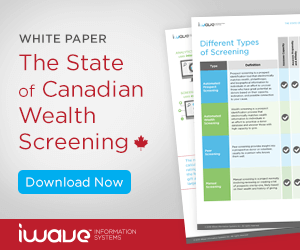 There are a few ways to clean your data before you run a wealth screening. But it all comes down to auditing the data, appending or adding to it, cleansing or subtracting from it, and verifying. You may already know what data is “messed up” in your system. It’s the thing that drives you crazy, but you just haven’t had the time to deal with. There could also be other team members who know something off-hand that is missing/broken in your system. Ask them! You can also run reports from your database to find this information. Then, you can create a list and prioritize. You’re looking for the things that would affect a good screening – names and addresses are really, really important here. phone numbers of less than 10 digits, or a zip code that is not 5 or 9 digits. NCOA – If you haven’t looked into the NCOA (National Change of Address), it’s a great idea to do during your data audit. Not all people update their addresses with the postal service, but for those that do, you’ll have updated data to work with. You can check out Amanda’s awesome blog post about this topic here! CASS – This is not a must-have, but a nice-to-have. Another great recommendation from Amanda is to purchase CASS (Coding Accuracy Support System) which is available with NCOA. This system verifies that the address is valid (but not that your particular donor is at that address). Lost-constituent finder – this includes data sources beyond just the change of address. It works either with a birthdate or a previous address (a great reason to keep your historical data). *Note that these data points may also be present in your iWave results. 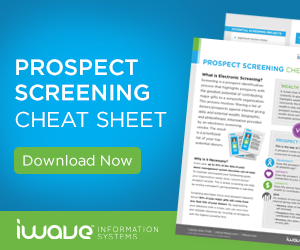 You can update your top prospects based on screening results. Once you’ve done an audit, it’s on to the next step – actioning your results! Are your addresses completely out of whack? Is there a high percentage of donors with inaccurate phone numbers? For this next step, you’ll want to prioritize any high-value donors on your list, and be sure to make sure that data is nice and clean. Moving through a process to update your records is a great way to ensure consistency among your team. If the audit brought back thousands of changes and updates to make, perhaps this is a good time to bring in a third-party vendor to help (instead of making the changes yourself). No matter how the changes are made, be sure to note the source and update date. This will help you identify any changes you’ve made yourself or any third-party information you’ve imported. 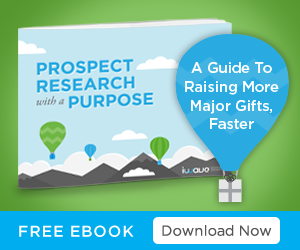 What’s the best way to make sure your donor data is accurate? Ask your donors! 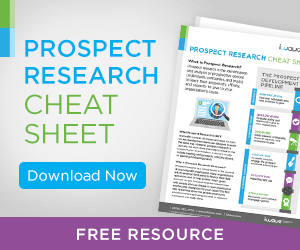 Use any point of contact with your donors as a chance to update and verify their information. Typically, people are happy to make corrections and will let you know if you have wrong information about them. 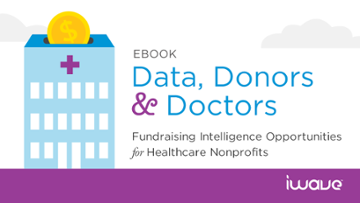 Use surveys, phonathons, and marketing as opportunities to connect with your donors and keep your data clean. Consider using tools like the NCOA and CASS as verification in your data entry process. Then, schedule your audits depending on the size of your database. Make sure that you and your team are following the same guidelines for inputting and tracking data within all your systems. That means ensuring you have standards for data entry and documentation showing “how”. Both the standards themselves, and the documentation of those standards, are important in keeping data clean (and keeping your team sane)! Who is managing your system? It’s a great idea to ensure that each person has a specific role within your databases. If just anyone can move things around and update data ad-hoc, it could become harder and harder to maintain. Also, make sure your administrators are equipped with your standards, documentation, and ongoing training. You may have heard before that keeping a tidy room can help improve your productivity. Now don’t worry, we’re not actually telling you to go clean your room. But, data hygiene is a fantastic way to ensure your fundraising efforts are reaching full potential. If you have questions about this, or about doing a wealth screening general, we’d love to chat! Inspired by: As the president of Fundraising Nerd, Amanda Jarman has helped dozens of nonprofit organizations make their fundraising data work for them. Amanda loves sharing her knowledge of donor data management in speaking engagements and training sessions, including as a repeat faculty member for conferences hosted by the Council for the Advancement and Support of Education. Amanda’s two decades of experience in the nonprofit sector began at small nonprofit organizations. Her career brought her to the world of higher education fundraising, where she specialized in donor data, most recently as the Assistant Vice President for Advancement Services at Portland State University. When Amanda founded Fundraising Nerd in 2013, she embraced the opportunity to make big shop donor data management tools and techniques work for organizations of all sizes.